Our world has evolved to new heights in the past three decades, largely because of the incredible influence of the internet. Since its advent, new avenues have opened up for people to communicate with one another, gather information on the web, and shop conveniently from the comfort of their homes. There was a time when the official communication channels revolved around telephones, fax machines, and snail males. The ads we saw were usually displayed on boards and television. The only way to order stuff from home was via tele-shopping, and that was no more convenient than visiting the store yourself and buying it from the counter. Times have changed, however, and they have produced an incredible increase in productivity and convenience. Businesses no longer need to have fax machines. Mostly all official communications happen via email, or any other VOIP communication platform such as Skype. The days of telesales are over too, and the outdated model has been replaced with e-commerce, which is far more convenient and a cheaper mode to connect with the customers. While technology continues to evolve, crime and theft is evolving with it. Thieves no longer use the traditional pickpocket tactics to rob you off your valuables. Bank robberies no longer happen in a physical way where robbers attack a branch and steal all the cash from the vault. Today, robberies usually happen online. Because most shopping happens online these days, hackers use this to their advantage by stealing credit card information or any financial information they can get their hands on. Because of all this, large and small businesses suffer huge losses every year because of hacking and cybercrimes. Many times, the databases of companies are hacked and the financial details of their users is stolen, which usually leads to angry customers, and in worst-case scenarios, court cases. According to a survey conducted by the Government of the UK, around two-thirds of all businesses fall victim to cyberattacks in the UK alone. So, is your business really secure? How Are Businesses Targeted By Cybercriminals And How Can This Be Improved? Hackers have been known to target businesses in several different ways. The most effective and lethal way to disrupt an online business is via a Distributed Denial of Service (DDoS) attack. DDoS attacks work when hackers employ botnets to bombard the targeted system with huge numbers of traffic, paralyzing the servers in the process and making it impossible for the business to respond to regular requests. The greater the number of bots are used, the greater the difficulty in controlling the attack. Only three years ago, BBC experienced the biggest DDoS attack in history when they recorded a surge in traffic of 602Gbps on New Year’s Eve 2016. The best way to deal with DDoS attacks is to get a premium VPN subscription. These services employ modern servers that are equipped with features that cancel out DDoS attacks against any business. Another tactic that hackers employ to target businesses is by uploading malware on the company's remote servers. This attack is especially harmful for businesses that are not using any firewall to protect their servers from external attacks. Many companies employ the policy of Bring Your Own Device (BYOD) to work. These devices are highly unsecure and are used to infect servers with malware. Hackers are known to take advantage of these unprotected devices that are connected to the servers. Whenever an employee connects to an unsecure network, their device gets infected immediately with dangerous malware. This malware is then automatically uploaded to the server whenever the employee connects to it. A premium VPN service is incredibly helpful in this situation. Installing a VPN app on all employees' devices allows them to keep their online communications secure and private. All the above mentioned threats can be easily avoided if businesses start using a VPN service. VPN services come with different privacy and anonymity features, each helping the business with one way or another. However, most VPN services available on the web are not security friendly and hardly tailor well with businesses. 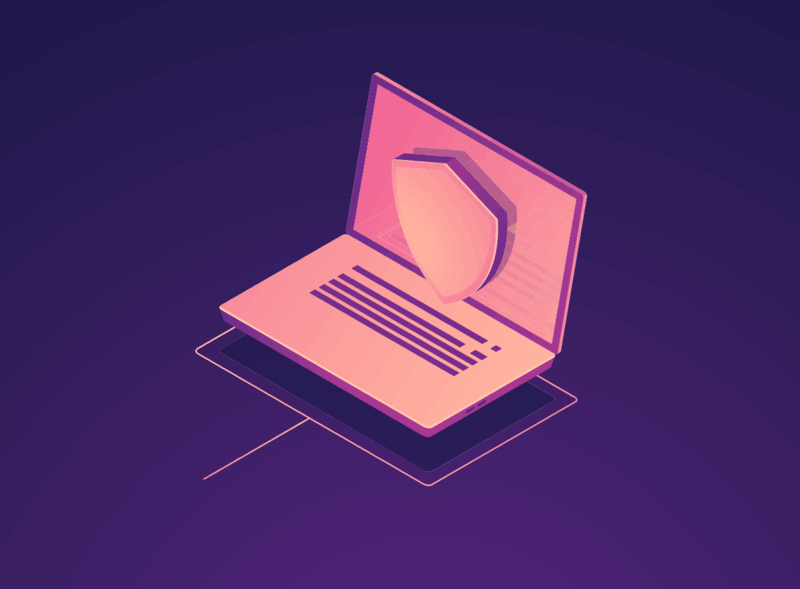 The good news is that there are plenty of security friendly VPN services available on the web that deliver the required features to help protect businesses. Premium VPN services, like PureVPN, are considered the most reliable VPN brands in this regard. These services use modern encryption techniques, specifically military-grade encryption to safeguard data and devices against all forms of online threats. These services also provide businesses with Dedicated IPs, as well as protection from DDoS attacks. Businesses need to understand that for every lock, there is someone out there trying to pick it and break in. The only way to protect businesses is for them to be one step ahead of criminals at all times. So what are you waiting for? Buy VPN now in order to give maximum protection to your business.